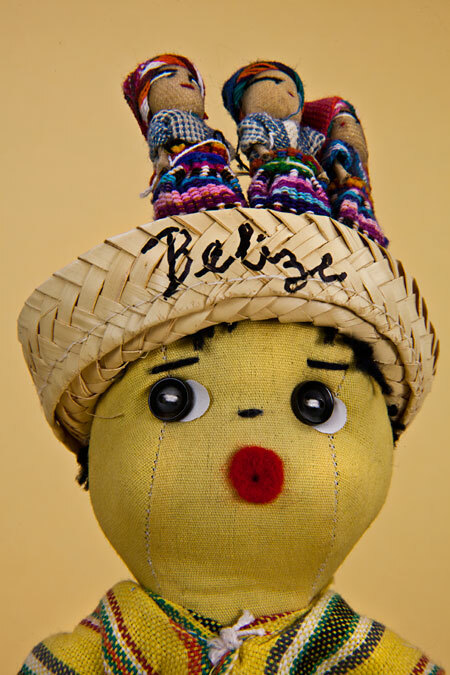 Boy doll from Belize culture with worry dolls in a straw hat. 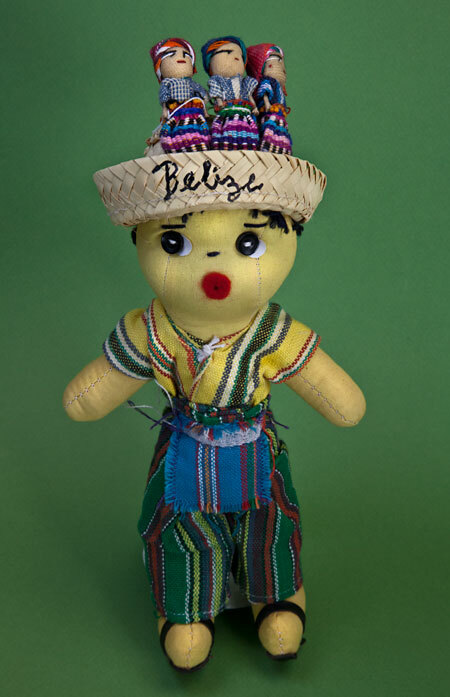 Young Belizean male handcrafted from stuffed cloth. He has button eyes, yarn hair and a mouth made from felt. 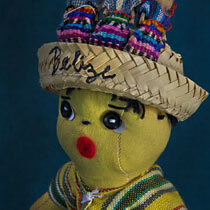 He is wearing a colorful woven vest. 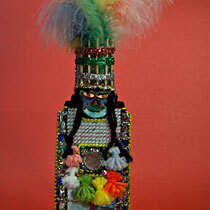 He has a straw basket on head with three worry dolls in the basket. 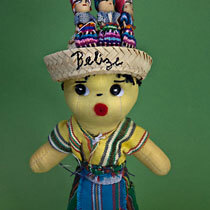 Worry dolls (muñecas quitapenas) are very small, colorful dolls that are popular in South and Central America. 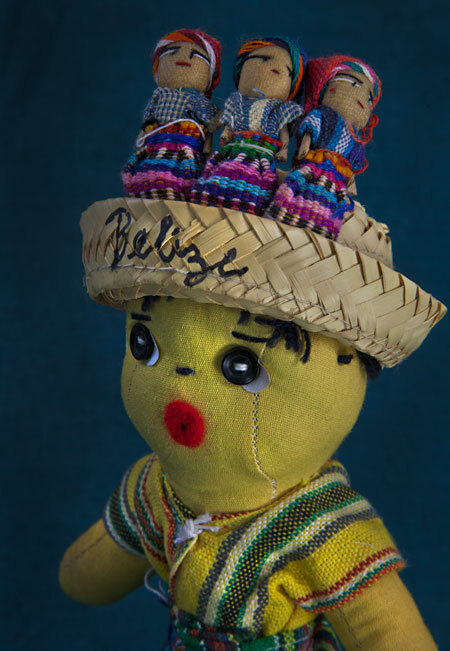 According to legend, a child can share his or her worries with the dolls going to sleep, and the doll will take care of the worries. Garifuna Settlement Day: Celebrating the Arrival of the "Black Caribs"
The sky was clear and the sea was calm as we rowed the boats toward the shores of Belize. The boats were full of people wearing traditional clothes, like they used to wear many, many years ago. We didn’t have motors on our boats or any fancy equipment. We were all part of the Garifuna Settlement Day celebration. 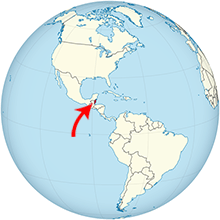 It was about 200 years ago that our ancestors (African slaves and Carib Indians) landed on the shores of Belize. 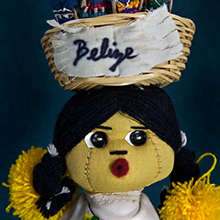 They came to Belize when they were driven away from other islands near Central America. As we neared the shore, we could hear the drums beating and the people cheering. We cheered too, and waved our palm fronds. Years ago, when our ancestors came, they brought a plant called cassava. That plant helped to provide food so they could survive in a new land. Even now, the Garinagu people love fishing and farming. They also love to dance and eat things like cassava bread and cassava cake. Taking part in this celebration makes me very happy. 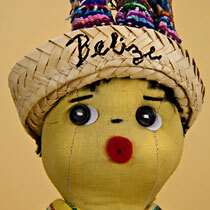 It’s very fitting that my name is Igundani, which means “Happiness” in the Garifuna language.